Local families and individuals can utilize the following local community resources. Please note criteria specified by agency. Provides food baskets every Tuesday and Thursday at 1 p.m. Assistance can be received one time per week. Hot meals are served every Tuesday, Wednesday and Thursday from 12 to 12:45 p.m. No ID is required. Provides emergency food assistance. 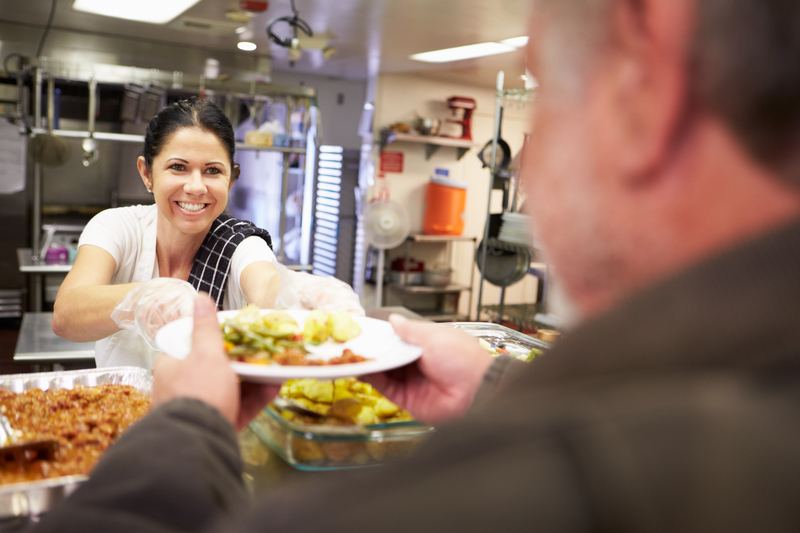 Social Security documentation required for each individual receiving food. Open Monday through Friday, 9 a.m. to noon. Phone: (918) 836-2424 Ext. 200 for appointments. Groceries provided by appointment only. Assistance can be received one time per month, and ID is required for each individual receiving groceries. Groceries available Friday and Saturday morning from 8:30 to 10 a.m., and hot breakfast is served Monday through Friday 8:30 to 10:30 a.m., Saturday and Sunday 8:30 to 10 a.m. No ID required. Emergency food provided Monday through Friday 9 a.m. to 5 p.m. Assistance can be received one time per month, and an ID, proof of address, and Social Security card, is required for each person receiving food. Fees: None for the food. Emergency food is provided from 9 to 11:45 a.m. Thursday and Saturday. Assistance can be received one time per month. Client must live between Harvard and Peoria and Pine and 15th St. Two forms of ID required, one of which must be a photo ID, proof of address and Social Security card for any children receiving food. Phone: (918) 627-3201 NOTE: Church number – they will connect to pantry. Food pantry provided Monday through Thursday, 10 a.m. to 3 p.m. Assistance can be received four times per year, but each visit must be at least 30 days apart. Photo ID and proof of residence required. Grocery assistance provided Mondays and Tuesdays at 9 a.m. Free lunch offered on same day of food assistance at 11:45 a.m., and Wednesday night dinner at 6 p.m. Emergency food provided Monday through Thursday 11:30 a.m. to 3 p.m. Assistance can be received six times per year. Picture ID and proof of residence required. Social Security required for children receiving food. Groceries provided one time per month to those living south of I-44 including 2-mile radius around 71st & Lewis. Assistance can be received one time per month. Photo ID and proof of residence required. Emergency food provided Monday through Wednesday, 9 a.m. to 1 p.m. and Thursday 9:30 a.m. to 1 p.m. Assistance can be received every 60 days. Photo ID and Social Security card required. Food vouchers provided Monday through Friday 8:30 a.m. to 5 p.m. Assistance can be received one time per 6 months. Vouchers are disbursed at beginning of month, so it’s important to go in early. Photo ID, proof of residence, household income, household expenses, and bank statement if available. Groceries provided Monday through Thursday 8 a.m. to noon. Assistance can be received one time per month for non-perishables and one time per week for perishables. Client must live in southwest Tulsa. Photo ID and proof of residence required. A listing of other food pantries in the area can be found here. We are here to help families who are dealing with difficult life circumstances by assisting with food and clothing every 30 days. We also have holiday food distribution, backpacks, and a Christmas gift shop for families with children. Provides emergency help, limited utility and rent assistance, prescriptions, food and aid limited to once a year; other criteria apply. Services Provided: Adoption, Counseling Dental, Eastern Oklahoma Outreach, Education, Emergency, Healing After Abortion, Immigration, Kitchen & Garden Ministries, Madonna House, Pregnancy Services, Refugee Services, St. Elizabeth Lodge. Emergency Infant Services is a nonprofit organization meeting the basic human needs of infants and children five and under (such as formula, milk, food, diapers, medicine, and clothing) whose families are in crisis or emergency situations. LIFE Senior Services specializes in home and community-based services that promote healthy aging and aging-in-place for seniors, as well as services and support for family caregivers who play a critical role in helping their loved ones continue living at home. From Senior Centers for active adults age 50 and older, to Care Management and Adult Day Health for older adults struggling to maintain their independence, LIFE is committed to helping seniors of all ages and circumstances. Temporarily satisfy people’s basic needs and to help alleviate suffering of impoverished families by offering charitable assistance. Provides rent assistance for individuals and families who have a recent, sudden loss of income. To provide charitable services for our neighbors in need, particularly those not served by existing social service programs, as well as those eligible recipients of existing programs whose needs are not fully met. Please call (918) 430-9984 on Monday, Tuesday, or Wednesday for an appointment. Clinic closed on Monday, January 21st. 74126, 74127, 74130, 74106, 74110, 74021, 74063, 74070, 74073, 74103, 74104, 74112, 74115, 74116, 74117, 74119, 74120. Monday 9 a.m. and 1 p.m. Appointments are set at Monday night clinic for later date. Appointments are set at Tuesday morning clinic for same day (if available) or a later date. Patient arrival time: Tuesday 7:45 AM. Appointments are set Wednesday night for clinic same day (if available) or a later date. (First & Third Wednesday only). Appointments are set at Thursday morning clinic for same day (if available) or a later date. Appointments are set at Thursday night clinic for same day (if available) or a later date. The Memorial Baptist Church clinic location will be at the 29th and Yale Church of Christ located across the street at 2901 S Yale Ave., Tulsa, OK 74114 on Thursday, Jan. 17. Please call (918) 585-5310 Monday-Thursday 9 a.m. to 2 p.m. for appointments. Appointments are set at clinic for a later date. Appointments are set at Friday morning clinic for same day (if available) or a later date. Clinic closed March 8, June 14 and October 11. This clinic accepts walk-ins as well as appointments. Please call (918) 366-6735 between 9 a.m. to 5 p.m., Monday through Friday. This is a walk-in clinic. No appointment necessary. Our Community Outreach Psychiatric Emergency Services (COPES) Team can help you or a loved one in need of crisis services. This highly skilled and respected team of mental health providers can assess a situation and provide support for those in need of crisis services. The team can work with children or adults experiencing the following: Threats of suicide, suicidal thoughts, self-injury, aggressive behavior, threats to harm others, depression, severe emotional upset, inability to care for daily needs, poor reality testing or thought disorder, and overwhelming anxiety or panic attacks. Counseling & Recovery Services of Oklahoma provides mental health, physical health and wellness care coordination and services for kids, teens, young adults and their families. Caring professionals assess, diagnose, treat and provide support, regardless of a family’s ability to pay. Outpatient Services for ages 4 to 18 include: Individual and family counseling; Behavioral rehabilitation; Life skills coaching; Linkage to community services; Psychiatric evaluations; Medication oversight by a physician; on-site pharmacy at the Tulsa office. Wraparound Tulsa provides support teams for children experiencing frequent crisis and their families. Teams advocate for the child and coordinate community services. A family support provider is available by phone any time of day or night. Transition Services helps young people, ages 17-24, with behavioral health issues to set and achieve goals for independent living. The Family & Children’s Services CrisisCare Center provides critically-needed psychiatric beds and new, innovative crisis respite services 24 hours a day. Services include: Screening, Triage and Assessment unit Crisis Respite unit (Up to 24 hours) Crisis Stabilization unit (3 to 5 days) COPES Mobile Crisis. Family & Children’s Services is a leading provider of behavioral health care and family services for people of all ages in Tulsa and surrounding communities heal traumatized and hurting children, strengthen individuals and families and provide hope and recovery for those battling mental illness.